Assemblage 100% Grand Cru, 100% Chardonnay from the Côte des Blancs, with 40% reserve wines and aged for a minimum of 36 months on lees.This classy cuvée, vinified partially in oak casks, will satisfy epicureans with its finesse, its mineral properties and exceptional richness. Maison Penet is both a prestigious place and the culmination of ancestral expertise in Champagne, inviting connoisseurs and epicurians to experience a unique tasting emotion via authentic vintages with strong character: Alexandre Penet & Penet-Chardonnet Champagnes. This personality and an exceptional level of quality is translated into ranges of zero or low dosage Champagnes, unique in the world of sparkling wines. 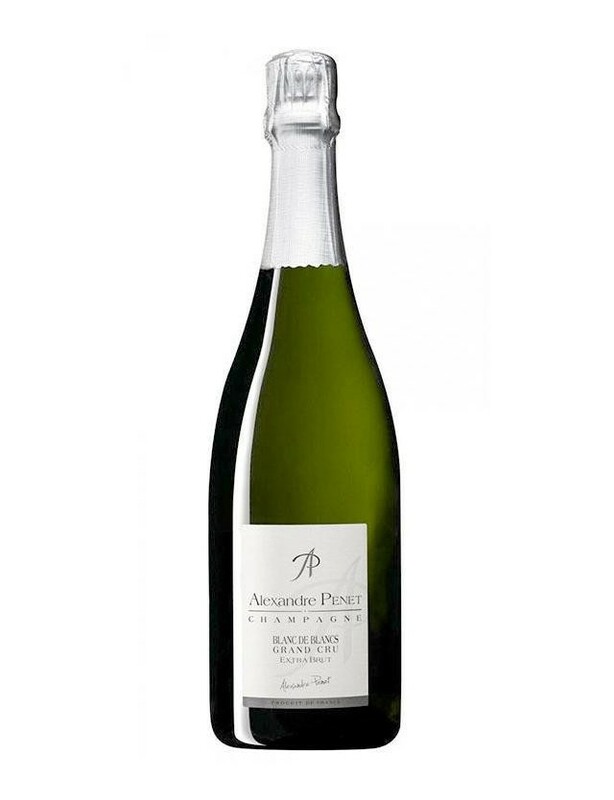 Champagne Alexandre Penet: freshness and indulgence for all palettes. The vintages in the Alexandre Penet range are the entrance door to the world of Extra-Brut and Brut Nature Champagnes. Oenologist Alexandre Penet has created a range of high quality Champagnes, exclusively with zero or low dosage, which combine character, finesse and freshness while remaining accessible to as many epicureans as possible. Alexandre Penet, a complete range of aperitif Champagnes. Champagne Penet-Chardonnet: A unique Champagne for epicurians who are seeking rareity, authenticity and perfection. Great Champagnes de Terroir made exclusively from our 6-ha family vineyards in Verzy and Verzenay, with 100% Grand Cru classification. A unique style, comining strong personality and great minerality. An exceptional purity thanks to the zero or low dosage, that marries very well with gourmet cuisine. Attention to detail and the idea of luxury via a refined design combining authenticity and sensuality.